I have some really fun posts from last week's party to share for my Frugal Round-up this week, so let's dive right in! 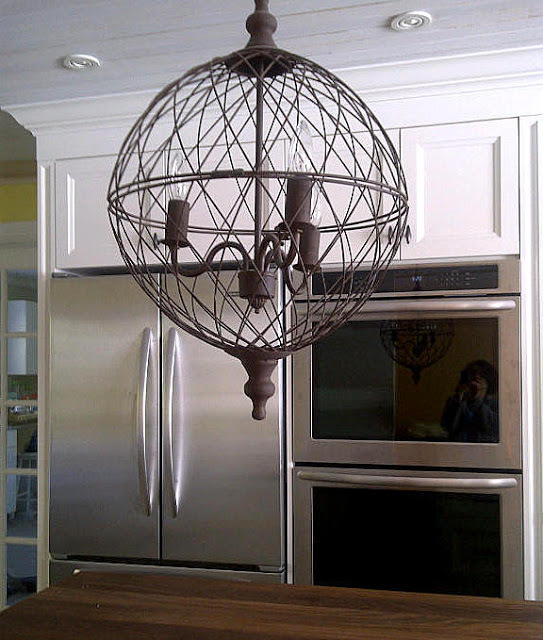 First up, I was smitten with this kitchen makeover shared by Moving Forward. I mean, check out that pendant light! Wow. 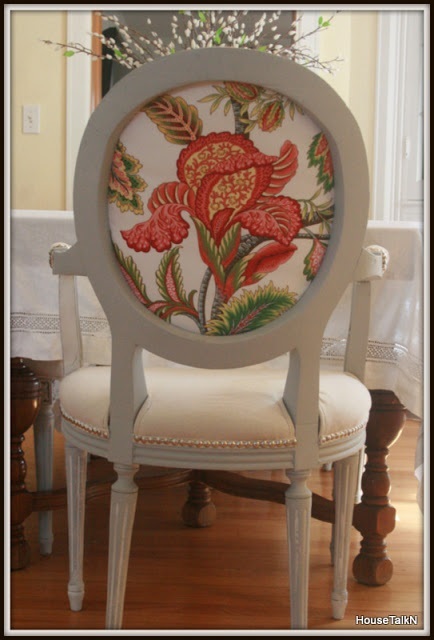 And I adore this beautiful yard sale chair makeover shared by House TalkN. Amazing! 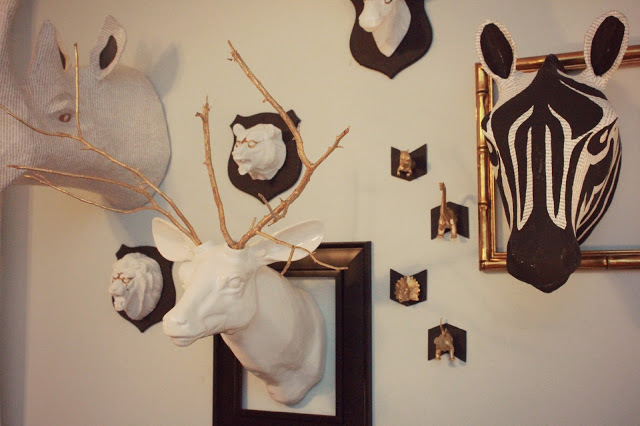 Finally, I love faux taxidermy. Check out this cute wall created by eat sleep MAKE. Thanks for the party. Enjoy the rest of your week! Thank you for the party! Happy weekend to you! I love a good makeover, love that chair! LOVE the back of that chair! Have a great weekend! Thanks for such a wonderful party! Thanks for hosting. Love the DIY frames from Itsflowingover. Will have to give that a go:) Have a great weekend. Thank you so much for sharing my Louis chairs! I am on standby with Scotchguard! Thanks for hosting the party! Happy Friday!! Thank you so much for the wonderful party, Wendy! Enjoy your weekend! Thanks for hosting such a terrific link party! Thanks for hosting, Wendy! Have a fantastic weekend! Thanks so much for featuring my kitchen...wow i am super excited about that! Thanks for hosting this great Party as well.